Inside the fandom that changed pop culture. It's a rainy Saturday in late November. 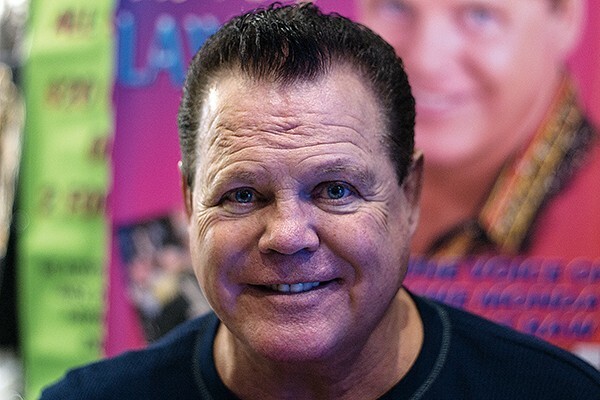 Jerry "The King" Lawler sits in his booth on the dealer floor of the Memphis Comic and Fantasy Convention (MCFC), surveying the scene. About a thousand people are crowded into the basement of the Memphis Hilton, browsing tables overflowing with comic books, memorabilia, T-shirts, and handcrafted fan art. The wrestling legend is also an accomplished comic artist, and he's here to sign his work. I'm here to talk about Star Wars. "I've got this awesome Chewbacca mug that came out in 1977, when the first movie came out. There's no telling what it's worth now, but I wouldn't sell it for anything," Lawler says. "I was a huge Star Wars fan, and I am to this day." Tonight is the big costume contest, so the crowd is filled with sci-fi and fantasy characters come to life: Harry Potters, Star Trek crew, Spider-Men, Wonder Women, and Doctor Whos in all his incarnations. And, of course, Stormtroopers, Jedi, and Leias. "It was probably the start of all of this stuff," Lawler says. "It was the precursor to geekdom, if you will." The first glimpse the world got of Star Wars was in a room at the 1976 San Diego Comic-Con, where Charley Lippincott, the head of marketing for the newly created Lucasfilm Ltd., showed a sparse crowd black-and-white slides of Darth Vader and Luke Skywalker. Three years earlier, George Lucas had directed American Graffiti, a low-budget, sleeper hit about a group of California teenagers coming of age in 1962. For his follow-up, Lucas wanted to do something inspired by the cheap, sci-fi serials he had loved as a kid. He tried to buy the rights to Flash Gordon, but Italian producer Dino De Laurentiis wouldn't sell. So Lucas decided to create his own outer space adventure. "George Lucas had one good idea," says Memphis filmmaker Mike McCarthy, on hand at the con to premiere his new sci-fi serial, Waif. "Star Wars is American Graffiti in space." American Graffiti cost $777,000 and grossed $140 million, making Lucas the toast of Hollywood. But by 1976, 20th Century-Fox Film Corporation was $9 million in the hole on Lucas' badly behind-schedule pet project, which no one but him seemed to understand. By the time it was finally ready, even the director himself thought it would flop. Star Wars was scheduled to be released on Friday, May 27th, 1977, but when Fox executives found out the competition that Memorial Day weekend was going to be Smokey and the Bandit, they moved the premiere up to Wednesday, hoping they could lure a few people into theaters before everybody went to see Burt Reynolds. But, unbeknownst to anyone who wasn't answering the phones at Lucasfilm, the word of mouth that started at Comic-Con had reached critical mass. 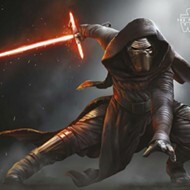 Sci-fi fan magazine Starlog declared, "Star Wars is a legend ahead of itself." By the end of 1977, Star Wars had grossed $307 million, more than twice as much as Smokey and the Bandit, and 20th Century Fox's stock price had doubled. "Star Wars is my first memory of any science fiction stuff I was interested in," MCFC founder Joe Thordarson says. He was one of millions of kids who flocked to the theaters again and again in the summer of 1977. For him, the appeal of Star Wars does not necessarily lie in its fantastical elements. "At the end of the day, you've got a lot of 'normal' people who are flawed having to step up and do extraordinary things. I think [Lucas] did a great job originally, because it's not just about the special effects, it's about the characters. You actually care about them." Director Craig Brewer, visiting the convention with his family while on a break from working on a new TV series for Fox, agrees. "There is a very palpable feeling that every child can relate to: feeling like you're alone, like Luke, the boy on the farm, looking at the double sunset. I think the thing people respond to with Star Wars is the Han, Luke, Leia, Chewbacca, [Cee-] Threepio, and R2-D2 squad. We didn't know each other our whole lives, but we just came together at this one moment, and now we're going to risk our lives for each other. There's this whole dynamic of personalities amongst these six characters. As a child, you could easily play a type with really clear turf. You be C-3PO, I'll be Chewbacca, you be Solo, you be Luke. Let's go out and play. It's about finding your friends." It's a cliché to say that Star Wars and its sequels The Empire Strikes Back (1980) and Return of the Jedi (1983) are a modern myth. It would be more accurate to call it postmodern myth. Lucas was a fan of Joseph Campbell, the scholar whose book The Hero With a Thousand Faces first outlined the "Hero's Journey," a collection of story elements shared by texts about Gilgamesh, King Arthur, and Rio Bravo. The entire Star Wars saga is a mash-up, self-consciously constructed out of bits and pieces of older stories and films. In 1977, Lippincott told Starlog, "The story has influences from all over the place. People have pointed out that they see suggestions from Lord of the Rings, Flash Gordon, and Dune. And there are a lot of things from outside science fiction — like the samurai tradition of Japan. ... Most importantly, the story relates to legend and fairy tale. It's what Grimm and Hans Christian Andersen were doing." Like fairy tales, the films have become something passed down through generations. "It was very important to me when I had a son that he know Star Wars," Brewer says. "As I'm reading the opening scroll, I had this sense-memory sensation that I had not felt or heard — that almost sounds like a line out of Star Wars — since I was 6. It was my father, who has passed away, whispering in my ear in a dark theater, reading the scroll from Star Wars to me. 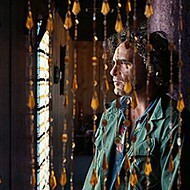 It was one of the most spiritual moments I have had in a long time." In the heady days of 1977, Lucas was widely quoted as saying he wanted to start a film series "like James Bond" — a sandbox in which different directors and writers could play, adding their own touches to the mythology. He promised a trilogy of trilogies, and for its 1978 rerelease, Star Wars gained a new subtitle: Episode IV: A New Hope. For Episode V: The Empire Strikes Back, Lucas enlisted writer Leigh Brackett, a Hollywood veteran whose first screen credit, The Big Sleep, was shared with William Faulkner. Brackett died of breast cancer after turning in her first draft, and the job passed to Lawrence Kasdan, who had just written Lucas' side project with Steven Spielberg, Raiders of the Lost Ark. Lucas tapped his USC film professor Irvin Kershner to direct the film, which is widely regarded as the best of the entire series. 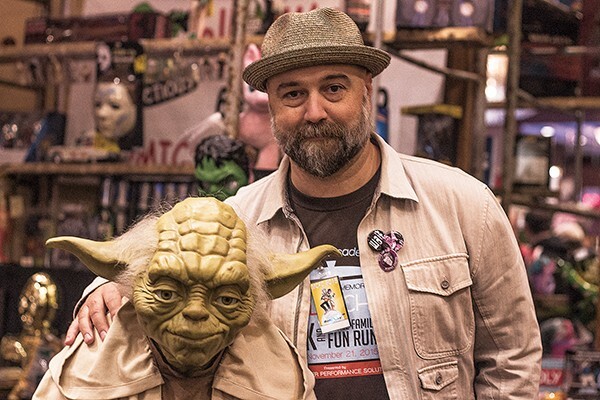 "Watching Empire with my family recently, nothing beats Yoda," Brewer says. "I was surprised that my daughter required no explanation when Luke went into the cave that was strong with the Dark Side of the Force, doing battle with phantom Darth Vader, lopping his head off, and seeing his own face in the helmet. She got it at age 7. It starts conversations. Who are you fighting? Who is your real worst enemy? Is it yourself?" Kasdan returned to write Return of the Jedi, the most financially successful of the original three movies. Lucas devoted himself to running Lucasfilm and its spin-off companies Industrial Light & Magic (ILM) and Skywalker Sound, which not only revolutionized special effects and sound design, but also produced innovations like nonlinear video editing and Photoshop. But after seeing the computer-generated images ILM had created for Spielberg's 1993 hit Jurassic Park, Lucas had a change of heart. He would write and direct a new trilogy of films in the Star Wars saga, Episodes 1-3, which would tell the story of Darth Vader's transformation from heroic Jedi knight to scourge of the galaxy. When The Phantom Menace was released in 1999, it was initially greeted with enthusiasm. But then, a realization set in among fans. It just wasn't as good. Lucas the filmmaker was now Lucas the toymaker. The thrill was gone. "It was an impossible task to make 1, 2, and 3," Memphis comedian Brandon Sams says. "With the majesty of the first three, and all of the comic books and lore, and Lucas hadn't directed a movie in 20 years, it was just doomed. It was too important to people. But leave it to the fans. There was a whole lot of great fan-created content that came out around the prequels." Brandon is at MCFC with his wife, Alexandria, who skipped Attack of the Clones (2002) and Revenge of the Sith (2005), because they lacked the scrappy, handmade quality of A New Hope. "Being a loyalist, I didn't like the CGI. 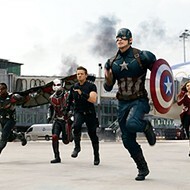 I'm still not a fan of CGI. If there's not any Jim Henson puppetry and old school art, I'm not as interested." She wasn't the only one turned off by the prequels. 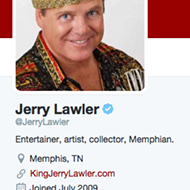 "I got thrown off the track by the introduction of Jar Jar Binks," Jerry Lawler says. "It scarred me for life, really." Even if they fell short artistically, the prequels still did huge business — The Phantom Menace alone has grossed more than $1 billion. 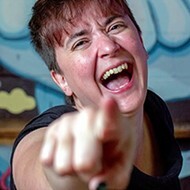 And they created a whole new generation of fans, like Lara Johnson, director of the 2014 documentary Geekland: Fan Culture in Memphis. "I was 10 years old when Revenge of the Sith came out," she recalls. "My dad had tried to show me Star Wars, but it was just a lot of sand, and I wasn't into it. My grandmother took me to see the Will Ferrell movie Kicking & Screaming. We bought the tickets, but the print was broken — back when prints were a thing. So my grandmother went back to the ticket counter, and said they needed to give us another ticket, because they sold us a broken movie ... And I said, 'The kids at school have been talking about this Star Wars movie.' So we watch it, and my mouth was just hanging open the entire time. It was the most magical experience I had ever had. Before that point, I played softball. I was sporty. I was a jock. After that point, I was a geek." Memphis actor/director Drew Smith, star of the upcoming comedy Bad, Bad Men and creator of the viral video "Force for Good" starring Mayor-elect Jim Strickland, is at the con wrangling his two sons, Hank, 5, and Jonah, 11, who are dressed as a First Order Stormtrooper and Jango Fett. "Those of us who grew up with 4, 5, and 6 didn't appreciate 1, 2, and 3 the way this generation did," he says. "They get it, even if we don't. They're a little bit into it." At that, Hank turns and menaces me with his lightsaber. "ALL into it!" The parade of costumes continues. There are obscure anime characters like Vash the Stampede, and a flock of Harley Quinns, a fan-favorite Batman villain. We're living in the world Lucas made, but geekdom has mutated into a thousand different subspecies. Surely, I can find someone at the con who doesn't like Star Wars. I stop Megan Rook, who is dressed as 1990s alt comic book hero Tank Girl. "I've always been into geeky stuff," she says. "My dad's a big Star Wars fan." Exactly. 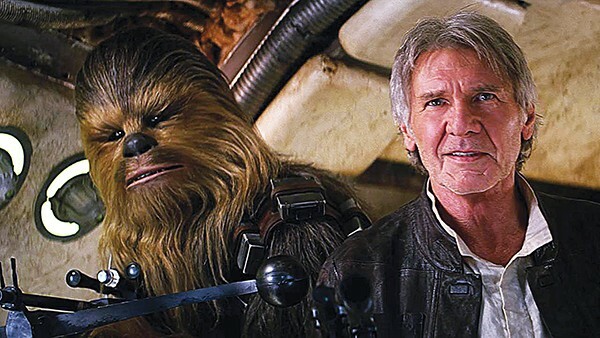 Doesn't Star Wars seem like a relic of an older generation? "There are those guys who are like, 'OMG, I saw it in the theater,'" she says, rolling her eyes. "But I don't hate it. 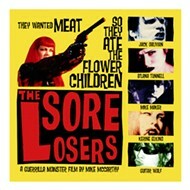 I'm actually pretty excited about the new movie!" 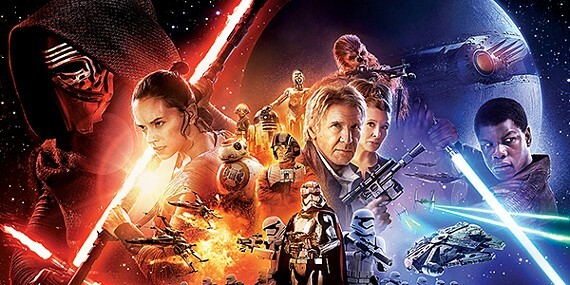 Star Wars: The Force Awakens, which opens Friday, is easily the most anticipated pop-culture event of 2015. It is the first Star Wars movie in a decade, and the first since Disney purchased Lucasfilm from Lucas for a reported $4 billion. Stung by criticism of the prequels, Lucas retired, leaving the franchise in the hands of producer Kathleen Kennedy, whose credits include everything from E.T. to Persepolis. 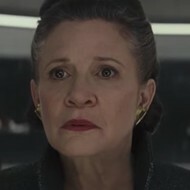 The film, penned by Empire Strikes Back writer Kasdan, is set 30 years after Return of the Jedi and reunites the original cast of Mark Hamill as Luke Skywalker, Harrison Ford as Han Solo, and, most importantly for many, Carrie Fisher as Princess Leia. 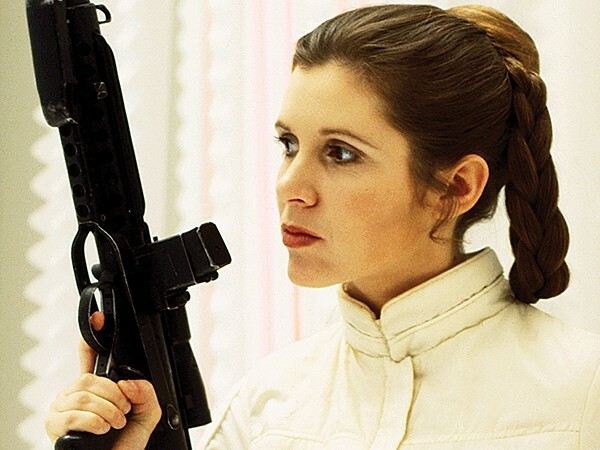 "Leia Organa is my favorite female character — no, my favorite character, period — in all of pop culture," Johnson says. "She's amazing. She watches her entire planet die, and she keeps going. She can do anything and take it over." 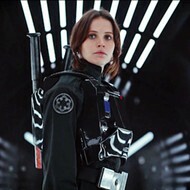 Johnson says Fisher's sharp portrayal of the galactic freedom fighter broke open the sci-fi boys' club and inspired a generation of female characters that included Sigourney Weaver's Ripley from Alien and Linda Hamilton's Sarah Connor from The Terminator. "They are strong women, but they are also flawed. They save the day in the end, but they have a lot of depth as characters. They're not just there to be an object to catch." A 21-year-old woman named Katie, who, along with her friend Charlene, is dressed as a character from Mad Max: Fury Road, says "Princess Leia wasn't like, a damsel in distress. She was like, 'I'm going to take care of this, and if you can keep up, awesome.'" Charlene, whose road to geekdom started with Tobey Maguire in Spider-Man, says Leia is a big reason she's a fan of the "Orig Trig." "I feel like it's something every generation likes. There are a lot of little 6-year-olds now who are in love with Star Wars, and my dad's a huge Star Wars fan." One fan from Charlene's dad's generation is director J. J. Abrams. The creator of TV series Felicity and Lost was hired by Kennedy to direct the first film of the new Star Wars era after rebooting the Star Trek franchise for Paramount. Abrams' work on The Force Awakens will be the the first test for Disney, whose stewardship of the franchise was initially met with skepticism by the faithful. But that skepticism melted away after a series of spectacular trailers that have been received by the geek community with something approaching religious awe. "The new movie is going to be amazing," says Memphis Star Wars fan page administrator Liza Andersen. "I hate that George Lucas doesn't have anything to do with it, but I trust J. J. Abrams to do the right thing. I went to Star Wars week at Disney, and it was amazing. When the new park opens, I intend to fall off the face of the earth. I'll be there in costume, working, and no one will know they even hired me." Andersen is not in costume at the con but says she's dressed as Padmé, the mother of Luke and Leia who was played in the prequels by Natalie Portman. "But," she says, "I plan on joining the 501st as soon as I can afford a costume." In the lore, the 501st Legion is Darth Vader's personal Stormtrooper detachment, known as "Vader's Fist." In real life, it's an 8,000-member organization of Star Wars enthusiasts who make their own obsessively detailed costumes. Garrison Commanding Officer Justin Bryant says the Legion is often called upon to make public appearances, such as at the recent Memphis Grizzlies Star Wars Night. "A large portion of what we do is charity. It allows us to get involved with our local community," he says. "We've worked for Habitat for Humanity, Food for the Poor, Children's Miracle Network and Le Bonheur. Our motto is 'Bad guys doing good.'" Bryant joined the 501st in 2005, after appearing in a borrowed costume and being amazed at the wide-eyed reactions he got. 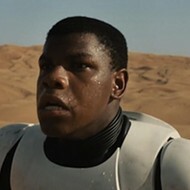 "When I'm in my Stormtrooper costume, I get the excited fans who are smiling and cheerful. Then you have those who fear you, who are intimidated by you, whether they know what a Stormtrooper is or not. We get that not only from children, but also from adults." 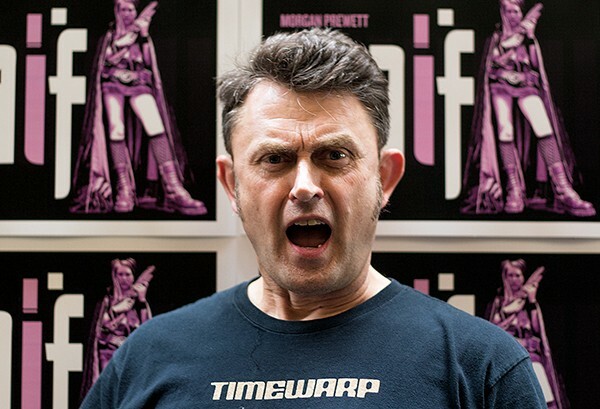 This blurring of lines between fantasy and reality is no surprise to Johnson, whose next film project explores identity in international geek culture. "You see characters that you love, and you want to be them. So you dress up like them. It's also a good shorthand that helps you meet other people who think like you." 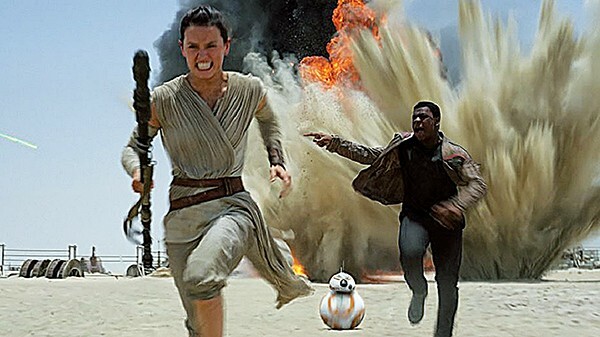 She says when the fans line up this weekend for The Force Awakens, their excitement will not just be about seeing a new movie, but about returning to a shared universe where they have found their friends. "You don't have to have Harry Potter to make Harry Potter great. He's got this whole magical world around him. And Star Wars is the same. Nobody's favorite character is Luke. They love all of the tertiary characters." Johnson gestures to the crowded convention floor. "There are 2,000 people here. I'm sure if you asked anyone here if they could jump into their favorite universe, they would do it." Krampus Knows You’ve Been Naughty.